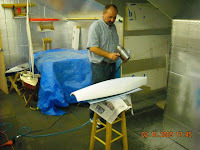 Here I am with a blow dryer blowing some hot air on the fresh paint. 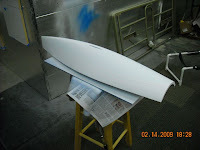 The paint I am using is water based, so the coats can go down pretty quickly, one after another. It is a good idea to dry the paint before putting on the next coat, so the blow dryer was used to speed the drying process up a little. After many coats I finally got the results i was looking for.